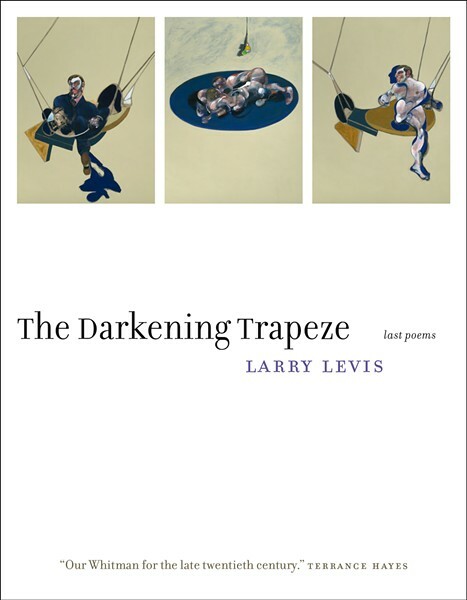 The new collection of poetry, "Darkening Trapeze: Last Poems" (Graywolf Press) marks a posthumous return by acclaimed poet and former VCU teacher Larry Levis. About thirty people fill the narrow aisles of Chop Suey Books late one Monday evening, many expecting to stay up till midnight. There are coffee, brownies, and a high density of MFA degrees. Asked if they were out till midnight for New Year’s Eve the week before, most admit they stayed home, or were in bed before midnight. But this is the midnight release party for a new collection of poems by Larry Levis, and few in this fervent community of fans would miss it. Senior editor of VCU's Blackbird, Mary Flinn, calls his poetry “incredibly powerful, an evocation of a time and beyond time.” Mullen lists him in the legacy of great American poets like Walt Whitman and Ezra Pound. The book, “The Darkening Trapeze: last poems,” edited by David St. John, is Levis’ third posthumous collection and the last of his unpublished poems. And its midnight release is evidence of the local readers who help stoke his legacy. At the bookstore, people are invited to read their favorite Levis poem. There are young and old alike, and several people from North Carolina. It’s Consuelo Marshall and her husband’s first time in Richmond, “literary tourism,” she calls it. Donovan was the chair of the hiring committee that brought Levis to Virginia Commonwealth University in 1992, where he worked for four years until his sudden death at age 49. Levis grew up on a ranch outside Fresno, and much of his poetry conjures the valleys of central California and the migrant farm workers he grew up alongside. But in those short years at VCU he produced many poems influenced by his adopted city. In “The Darkening Trapeze” there’s “Ghost Confederacy,” which weaves evocations of the civil war with modern economic inequalities. “The Space” references a tavern that once stood at 15th and Main, the site of slave auctions, that he walked past en route to his Church Hill home. Cabell library at VCU holds a special collection of Levis’ papers. And Blackbird, an online literary journal of the English department frequently publishes and promotes his work. Like for “Elegy,” a book that Levis had nearly completed at the time of his death, Donovan and Mary Flinn helped David St. John assemble Levis’ work, sometimes deciphering handwritten revisions on post-it notes. The English department also awards the Levis Reading Prize to an emerging poet annually. “We named it after him to keep his memory alive, but it hasn’t turned out to be necessary,” Donovan says, noting that his popularity continues to grow and young poets cite him as an influence. Poulos is the filmmaker behind “A Late Style of Fire: Larry Levis, American Poet.” At the midnight release, she screened the first thirty minutes of the full-length documentary on Levis, scored by the music of Iron & Wine. Also a poet, Poulos never met Levis, but a “disembodied man’s voice” told her she would make a film about him in a dream. She’s submitting the completed film to festivals and hopes to have a Richmond premiere later this year. After the screening, Poulos mentions that people can purchase the new book. It’s 10:30 pm. Ward Tefft, owner of Chop Suey Books, who took classes from Levis as a graduate student, says he got approval from the publisher to sell it a few hours earlier. “Mary Flinn told me to ‘consider doing it earlier,’” he says, smiling. So the crowd starts to dissipate and most people are gone by 11, copies of the book in hand. Some of the younger attendees head to Don’t Look Back for a drink. They would’ve stayed up till midnight. “The Darkening Trapeze: last poems” is available for purchase at Chop Suey Books and Fountain Bookstore.